We told you last week would be busy at Old Savannah, and it was! We are giddy with excitement, regarding the progress last week and what is to come this week. The realtor’ sign will be in the yard before we know it!!! 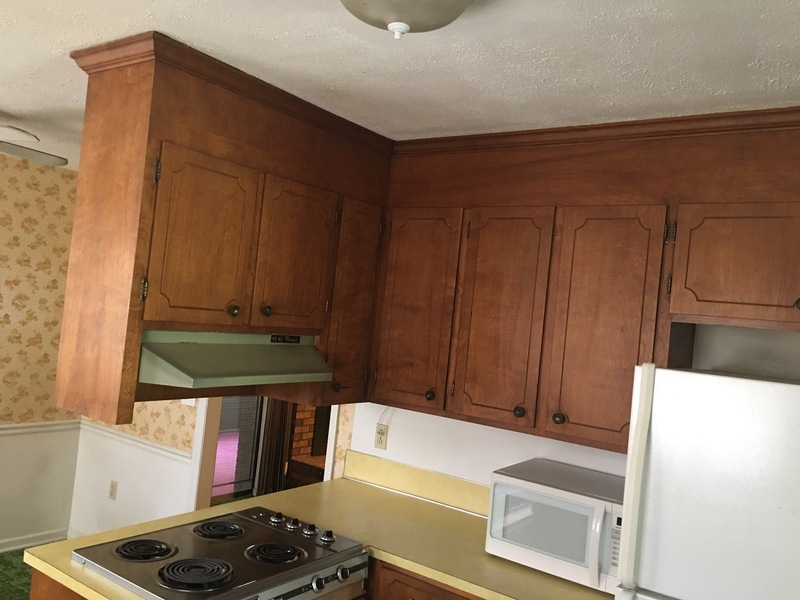 As you see, our new kitchen cabinets, from Home Depot, have been installed. We also have put a fresh coat of paint on the walls. 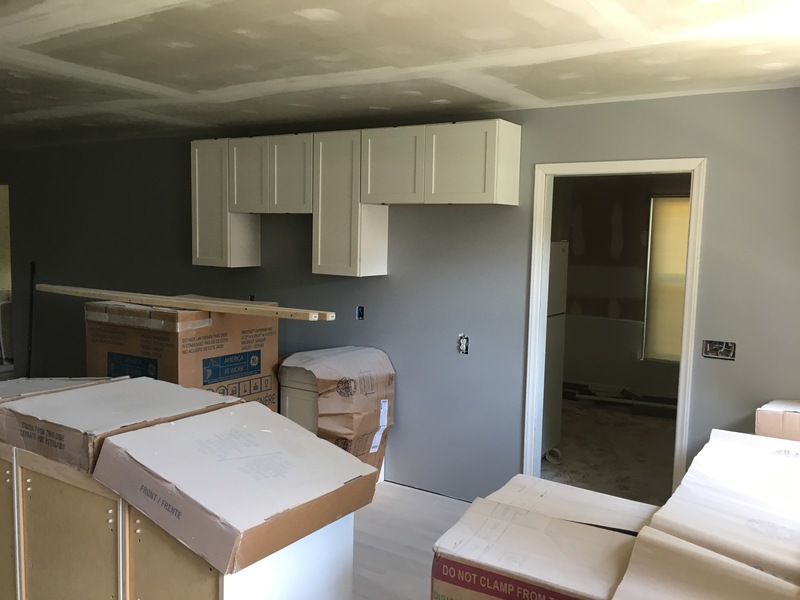 We are so pleased at how bright this room is with the paint and white cabinets. Very updated, but not modern. 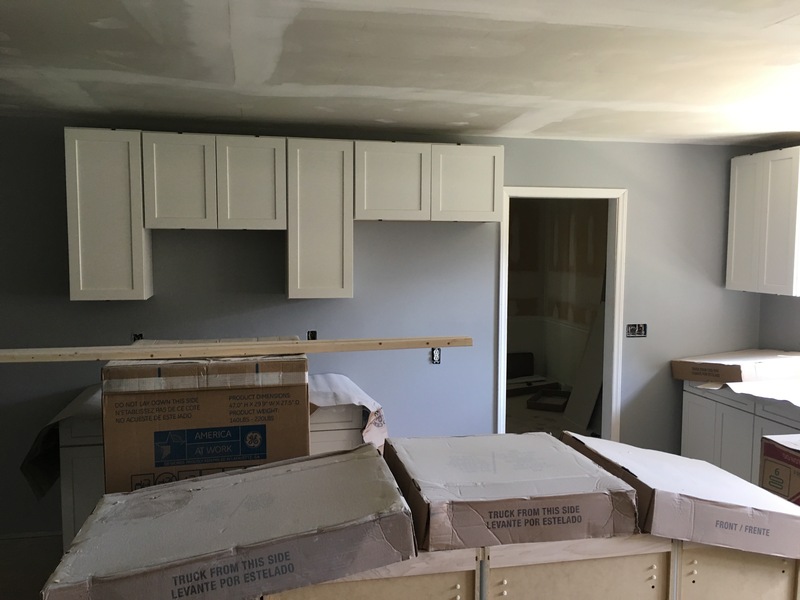 Remember when the kitchen looked like this??? 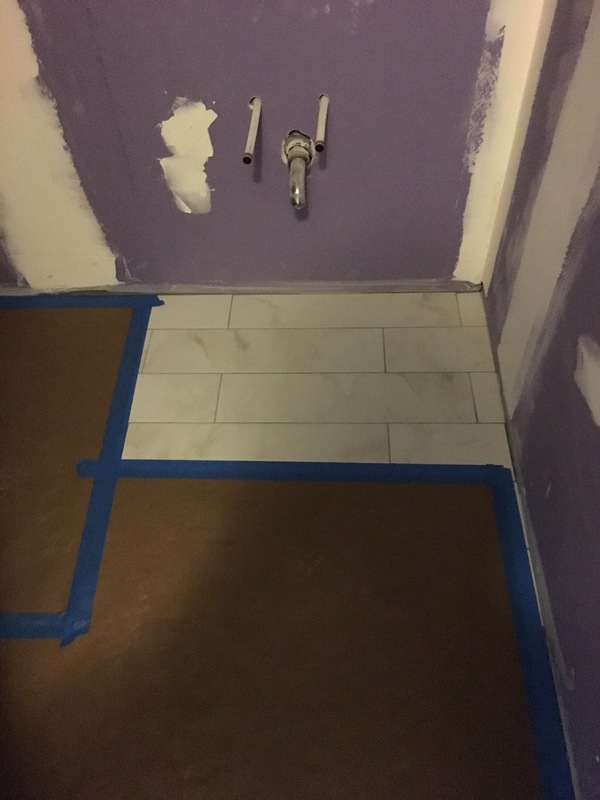 The bathroom tile in the hall bath has been laid. It wasn’t one of the original styles we looked at originally (and showed you on our previous blog). That is something great about this project is making quick changes and seeing how well they turn out! We decided to go with a 10″x14″ careera for our floor tile. Completely freshens up this bath!!! Below is a reminder of the old bath. Finally, the floor tile has gone down in the master bath! I want this in my own-could not be more pleased!!! The master bath was gutted by the previous homeowner & when we purchased, it was still down to the studs. We reconfigured the space & replaced the tub with an oversized shower. 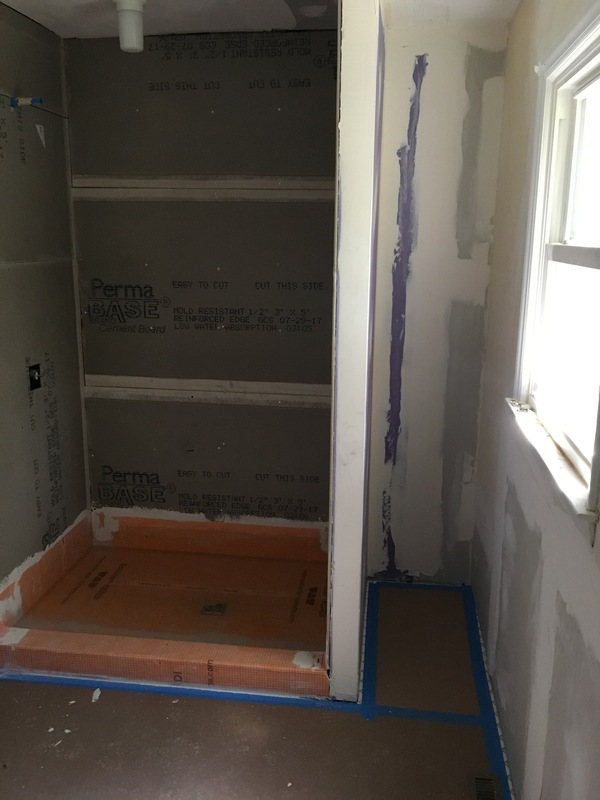 We have installed the inlayment & waterproofing in the shower. Now we waitfor the inspectors to give us the green flag, so we can begin laying tile in the shower. It is going to look amazing! 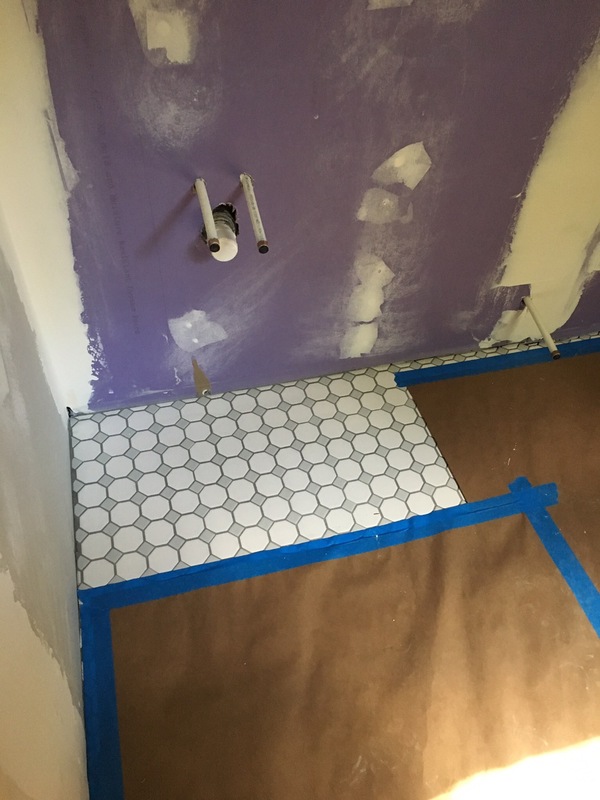 Below is a quick peek at those gorgeous 2×2 octagonal tile floors (and the shower)!! 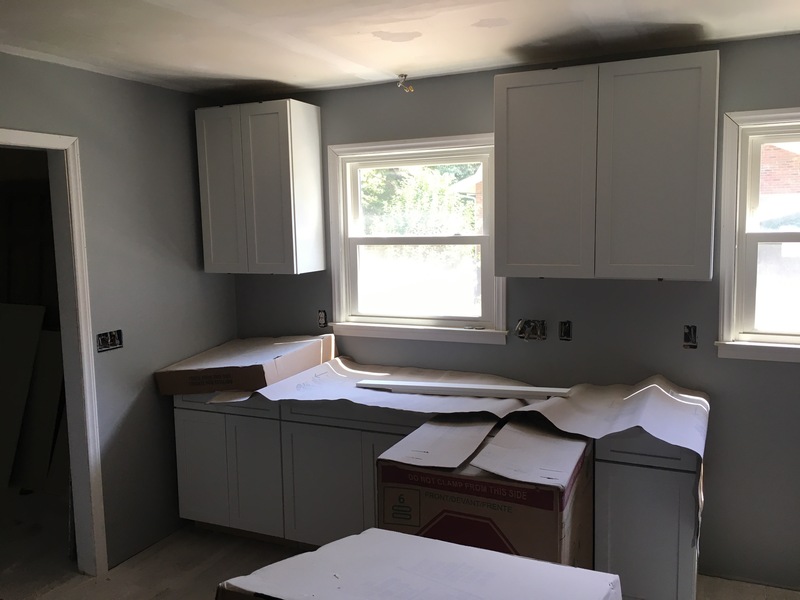 We will continue to paint & lay tile, this week. 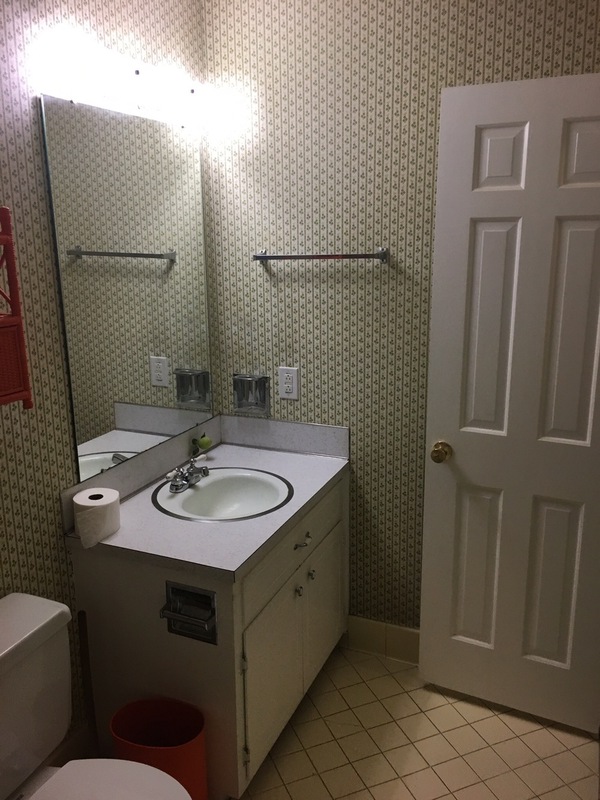 We also hope to get the bath vanities in. Stay tuned for an update on our Gastonia property as well as an introduction to our latest property, Martha Jane. Previous Previous post: Another Crazy Week! 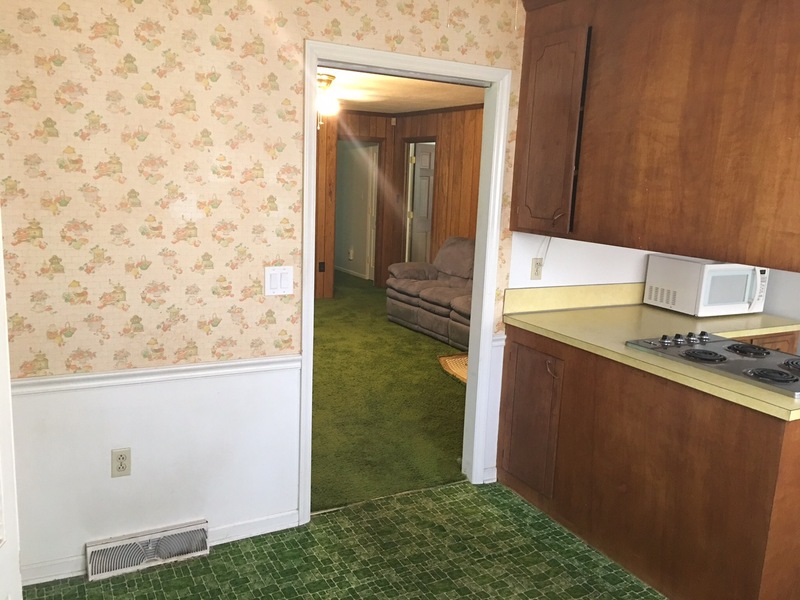 Next Next post: First Property…Sold!